There's no better way to show off your new fringe than with a ponytail! Like certain hairstyles, bangs often look good when they're not perfectly styled. So if your own fringe isn't obeying you today, just relax and let it do its thing. Her full fringe and graphic feline flick made her overall look super glam. An au naturel, off-duty look. Lol, Ylona looked like a moody '90s teen with her plaid shirt, white sweatshirt, bedhead hair, and angry facial expression! 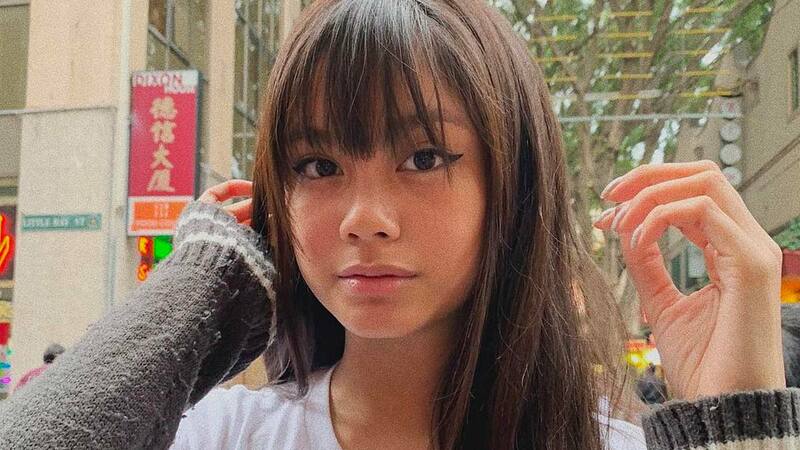 Even with sheer or see-through bangs, Ylona looks so adorable!